According to The Pulse Of Radio, Frances Bean Cobain has reached a settlement over the division of property in her divorce from ex-husband Isaiah Silva. TMZ reported that Silva has won ownership of the famous guitar that Frances's father, late NIRVANA frontman Kurt Cobain, played on the band's classic episode of "MTV Unplugged". Although Frances's mother, Courtney Love, told TMZ a while back that the guitar was "not (Silva's) to take," Frances reportedly "wants to move on" and was finally willing to give up the instrument just to get the divorce proceedings over with. In other NIRVANA legal news, photos taken at the scene of Kurt Cobain's suicide will forever remain sealed following a new court ruling in Seattle. 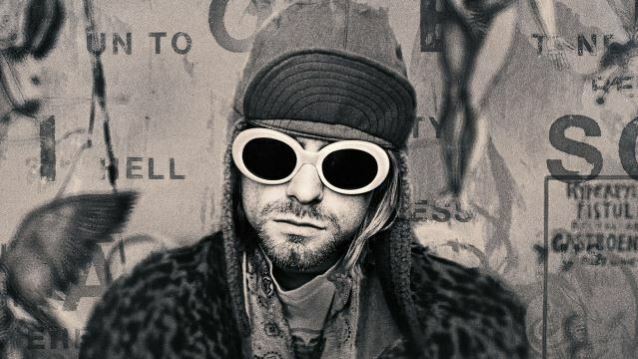 Richard Lee, described in court documents as "a conspiracy theorist who believes that Mr. Cobain was murdered," originally filed suit against the city of Seattle and its police department in 2014 seeking to have the photos made public. Having researched Kurt's death for years and even hosting a public access TV show about it, Lee sought access to the pictures under Washington State's Public Records Act. His case was thrown out once before in 2015 with a judge declaring that releasing the images would be "highly offensive to a reasonable person." The Pulse Of Radio asked Cobain biographer Charles R. Cross a while back why he thought the conspiracy theories lingered on. "I think the main reason people embrace the conspiracy theory is simply that it's very painful to imagine that Kurt, someone they loved or maybe identified with, that he betrayed them in some degree by taking his own life," he said. "You know, the bottom line is there's absolutely no evidence to suggest that Kurt's death was anything other than suicide, and it's almost absurd that the topic continues to come up." Lee appealed the 2015 ruling last year, prompting Courtney Love and Frances Bean Cobain to file documents and testify to block Lee's case. But Lee's appeal has now been turned down, with a Washington appellate court ruling that images taken at the scene in 1994 and developed by the Seattle Police Department in 2014 will likely never be seen by the public.